One of the first men on the list when the SFG team were brainstorming the lucky kids to get onto our coveted list of future talents, 2012 and 2013 must have been a complete blur for Mohamed Salah, as he well and truly announced himself to the world. A country traditionally able to resist the temptations of European clubs and their financial power, Salah will be looking to make himself into one of the first Egyptians to dominate the European scene. 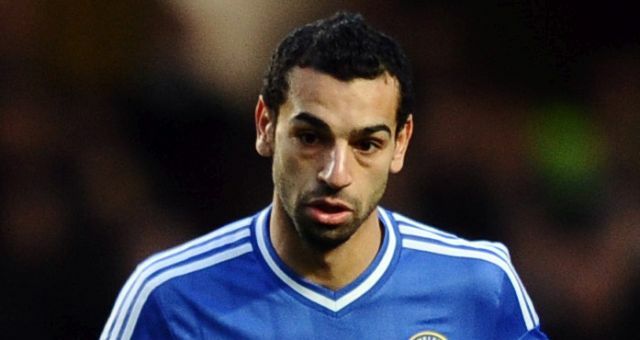 On the books of Cairo side Arab Contractors before he his age his double digits, Salah’s debut for the club came when he was 17, at the end of the 2009-2010 season. A side that is less well-known by many outside of Egypt due to the dominance of the Zamalek and Al-Ahly rivalry, Salah became a regular for the side the following season, playing every single game up until the Port Said stadium disaster in February – upon which the league was cancelled following the horrific events that occurred. With no competitive football to play until the 2012 Olympic games in which he would represent Egypt as part of the U-23 squad, a friendly was arranged between the Olympic team and Swiss Premier League side Basel. After two second half goals, Salah was snapped by by the Swiss side in June, in what proved to be an excellent development ground. An instant starter in Switzerland, Salah made 43 appearances in all competitions last season, as he proved himself to be effective when playing from the start and as an impact sub, with an impressive 9 league goals in his debut season. However, it was Basel’s impressive Europa League campaign where the Egyptian’s stock truly rose, with the viewing pleasure of watching the kid play football made people actually want to watch the Europa League. Going from representing Arab Contractors to scoring against the likes of Tottenham and Chelsea in Europe, Salah was the latest trendy prospect to be linked to a plethora of major European clubs, with rumour mills all over the continent citing him as the subject of interest from the likes of Liverpool, Dortmund, Atletico and Chelsea. If his performances for Basel were good, then his representation for the national team that has been truly astounding. He scored six goals during qualifying having only made his debut about nine months before – including a hattrick against Zimbabwe as Egypt blitzed their group – finishing joint top-scorer with none other than Mohamed Aboutrika at the end of qualifying. Now at Chelsea after earning himself a January move, many fear that the Blues may not be the club best to promote his development. Famous for stockpiling attacking-midielders, Salah-fans will be hoping that he can earn himself some playing time amongst the plethora of stars around him, as well as avoid the dreaded farming out on-loan to Vitesse. However, with a goal under his belt against Arsenal, perhaps Mourinho sees him more as an Eden Hazard over a Kevin de Bruyne. An incredibly positive, forward thinking player, he has the pace and dribbling skills needed as the base for any winger, with the confidence required to make sure that this ability doesn’t go unnoticed. Sometimes a little too overconfident with his taking on of players, and arguably slightly wasteful of his chances, this is of course completely forgiveable considering his age. A little bit of moulding laced with first team experience would be an excellent remedy to make Salah into one of the best Egyptians the country has ever seen.